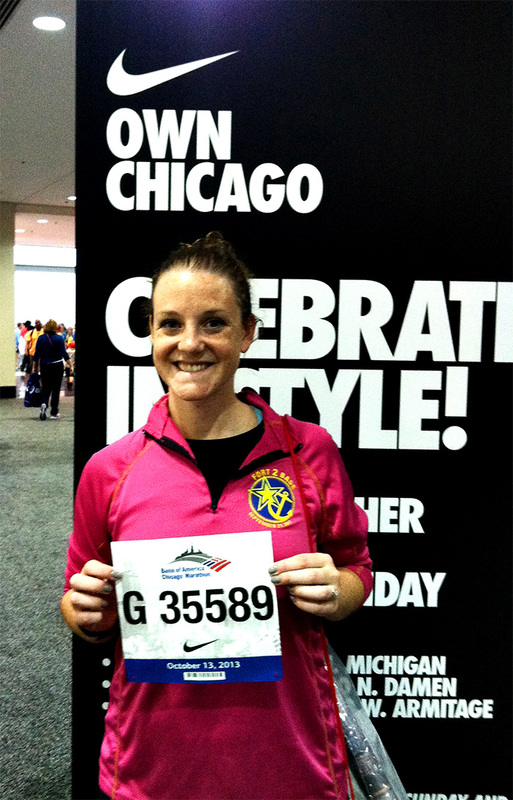 Now up: Training for the Green Bay Marathon in May! 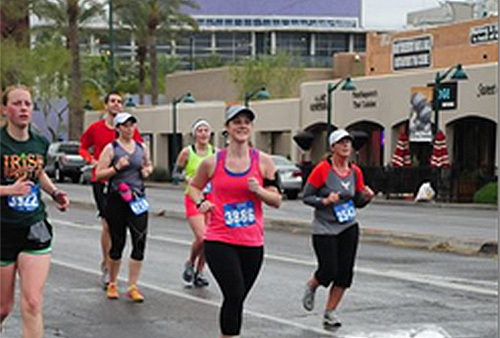 I had a good race at the Phoenix Half Marathon (you can see my recap here), and followed it up with a solid training week as I shifted goals from 13.1 miles, to a full 26.2. Solid jaunt on the treadmill. 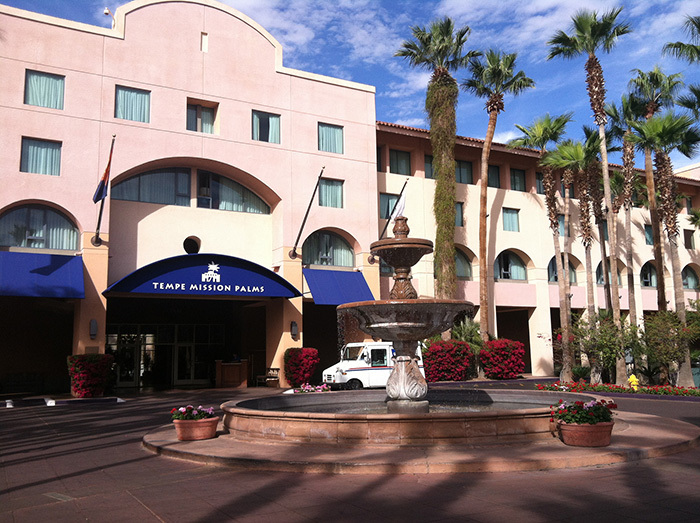 After a 4-hour flight, I arrived in Phoenix with my sisters. 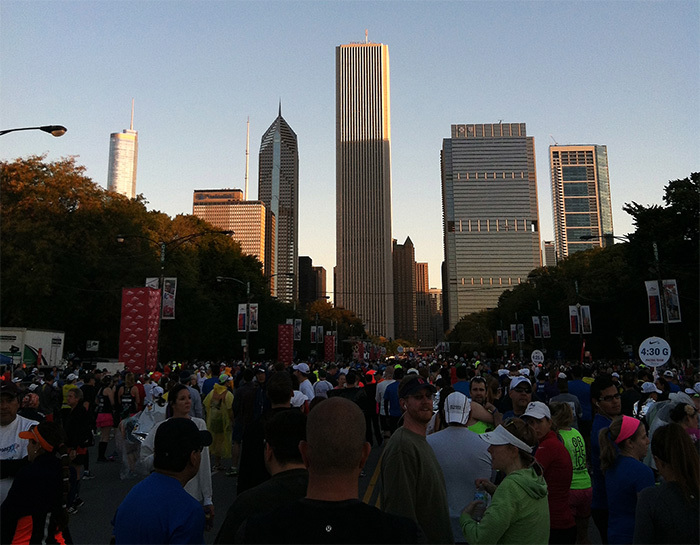 That afternoon, we went on a little shake-out run to loosen up for our big race the next day. 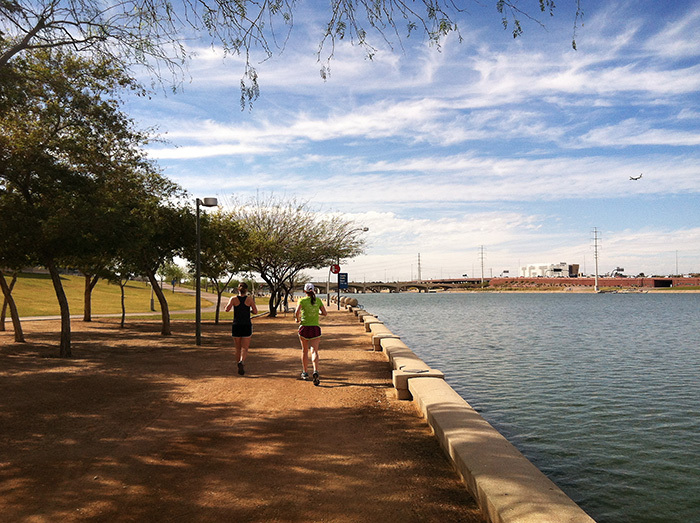 …to nearby Tempe Beach Park, which had a convenient running path along Tempe Town Lake. We enjoyed the views and the weather. It’s been so long since I’ve run in a t-shirt and shorts and actually felt the sun heating my skin. It was glorious, and made me itch for spring even more. Felt strong and ran my last four miles progressively faster, with the last mile the fastest of all. Overall I was happy with my race and my time. This was no PR for me (I think a 2:08 is my best) but considering I haven’t been doing any speedwork, a 2:17 is pretty decent in my book. 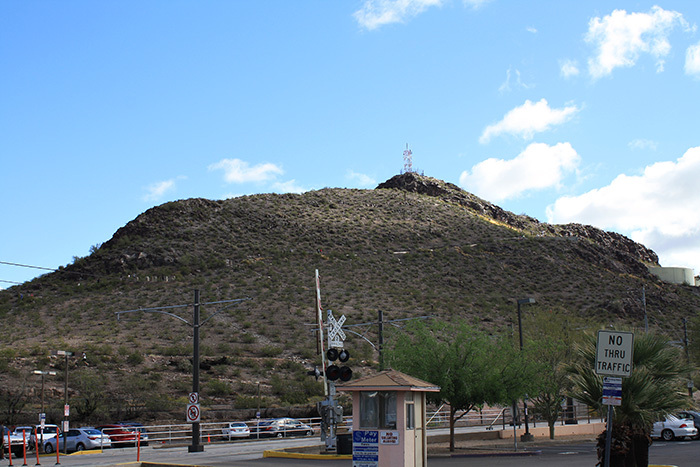 My “rest” day included hiking this beast, the “Tempe Butte” (aka “A Mountain”) in Tempe. 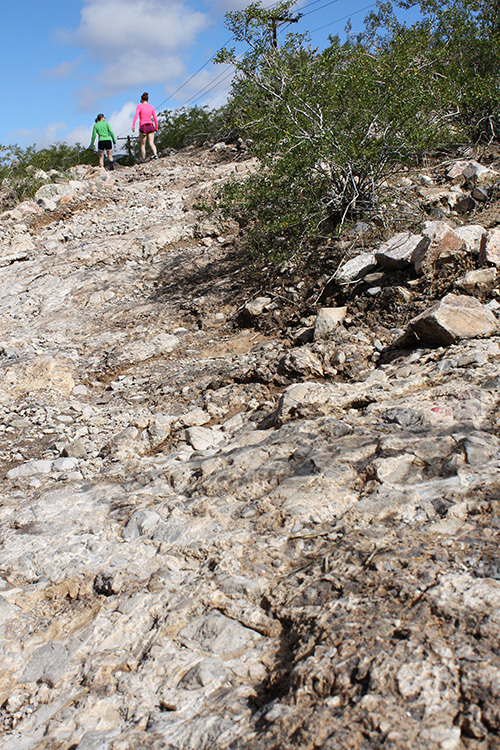 Doesn’t stack up to the other hiking mountains around Phoenix, but we still felt the burn walking up this guy. It was our last day in Arizona, and the weather was so refreshing (sunny + 60-something degrees) that we had to get one more run in. After all, we were heading back to single digit temps and snow. 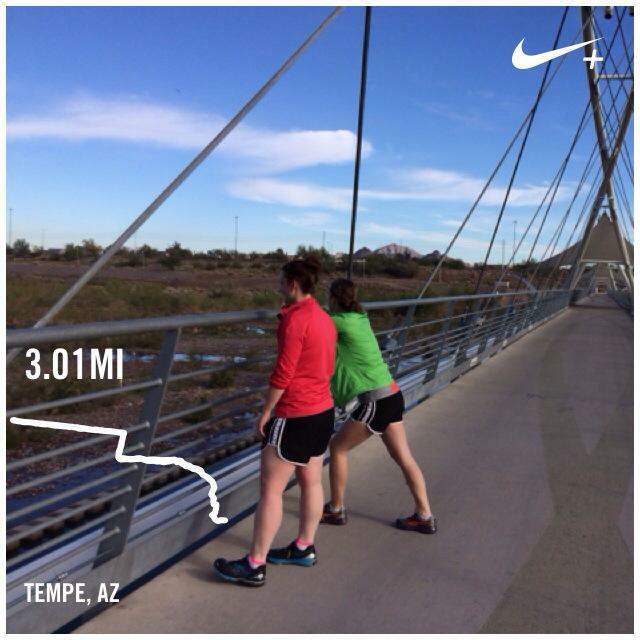 We went for another jog along the Tempe Lake path, this time crossing a footbridge and exploring the other side of the lake. I wasn’t sure that a jog so soon after my half was wise, but I actually felt really strong and wasn’t sore at all. Success! Back in the arctic tundra in Wisconsin, I reacquainted myself with my treadmill. Five minutes into the run, my left knee started bothering me a bit. I hopped off and foam rolled/stretched for a few minutes. I got back on the ‘mill and the naggy pain was gone, so I think my IT band was just tight since I hadn’t rolled in a week (I normally do it at least every other day). I didn’t want to push my luck, though, so I hopped off after 2 miles and just stretched/foam rolled some more. I got outside for this run, thankfully. 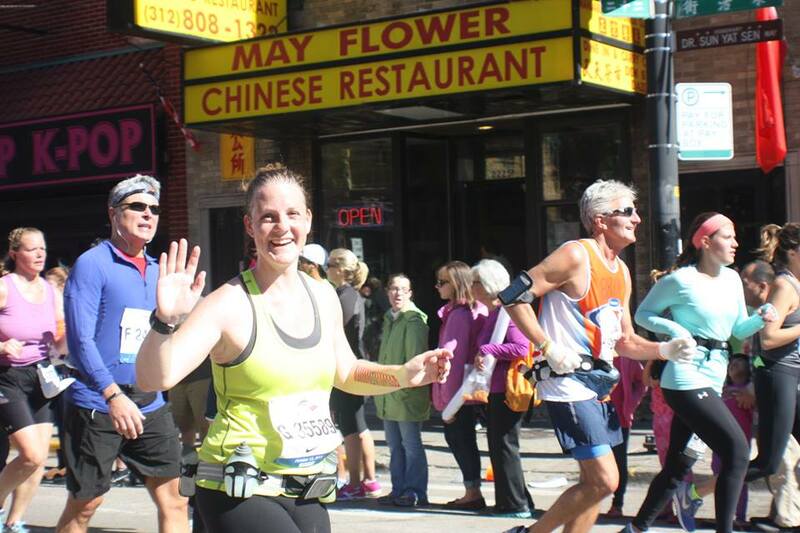 I felt strong and actually had to keep slowing myself down, as I was pushing close to a 10-minute pace, which isn’t my “easy” pace at all! The temps were in the 20s for this long run, which hasn’t happened in a long while—heat wave! 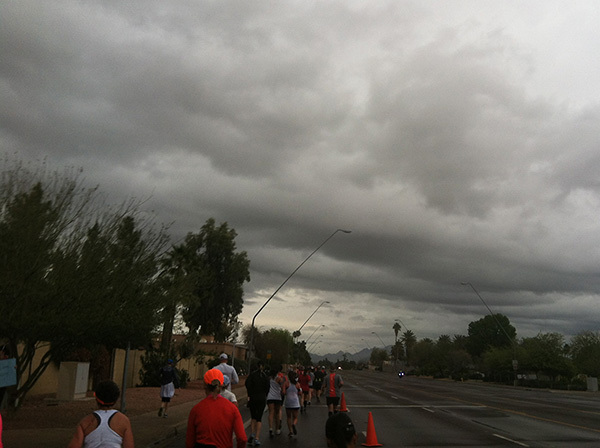 The wind was pretty severe, but I could still feel all of my limbs and exposed skin, so I count that as a win. I felt really tight during most of this run. My running partners did too, so we stopped every couple of miles to stretch, which helped us get through it. We hit a few treacherously icy stretches of road, which makes you run differently… I noticed after one particularly long bout on the ice, my hip flexors were super tight. 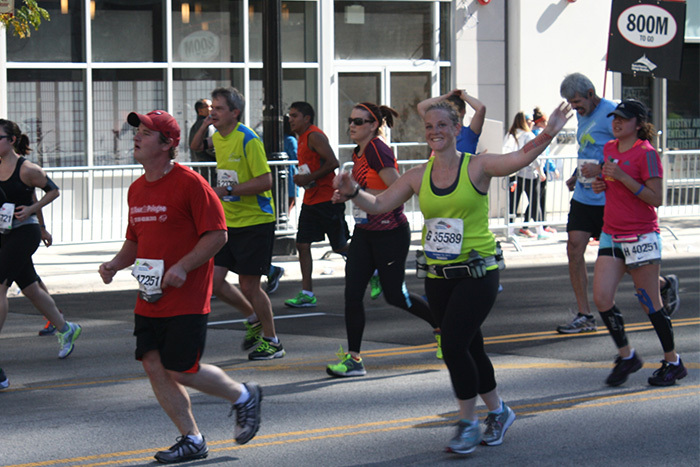 I finished the run fine, but at the end I couldn’t have pushed it any faster, my legs just wouldn’t loosen up. 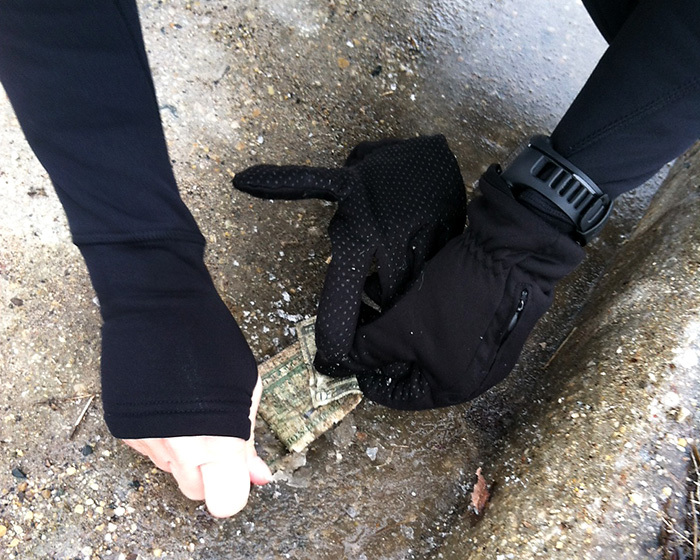 On a fun note, during the long run, my friend June found a $20 bill half-frozen into the ice on the side of the road. 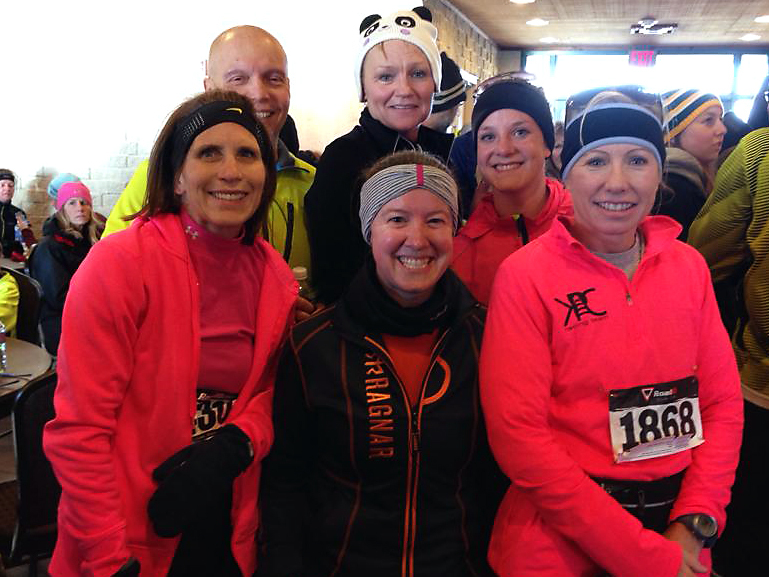 We used a car key to chip it out, and then June bought us coffee with it after we finished the run. The bill was totally soaked and dirty, and I wish I would’ve gotten the poor cashier’s face when she pulled the bill out to pay. Hahah! Depending how my knees feel, I might replace some mileage with cross training. Do you overanalyze your aches and pains? What’s the coolest thing you’ve ever found while out on a run/bike ride/walk? I think the days leading up to a race are just as important as race day itself. 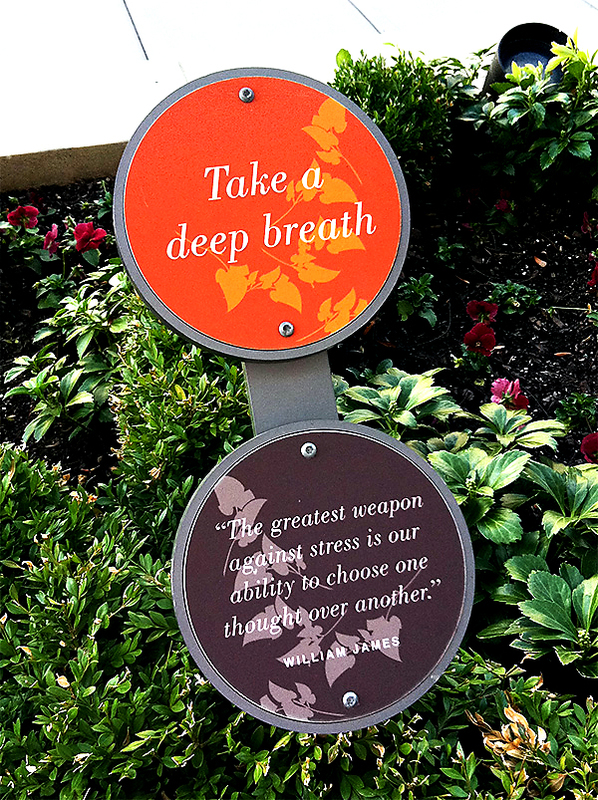 You need to get plenty of rest, eat well, stay hydrated and keep a positive, upbeat attitude. 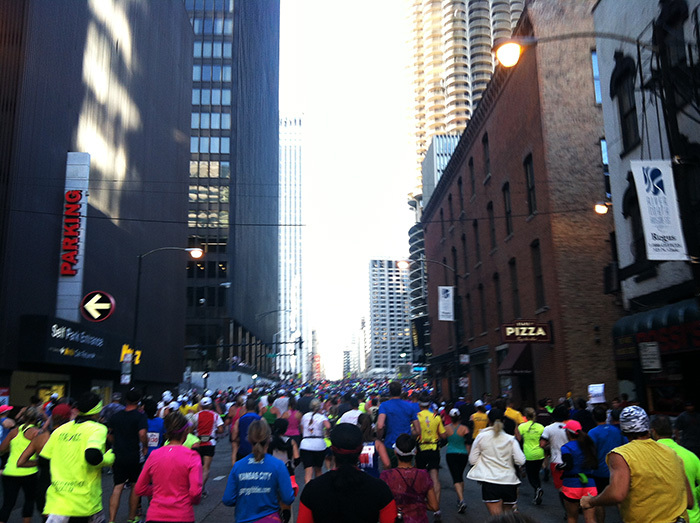 With all that in mind, I had a great Friday & Saturday leading into the Chicago Marathon. Let’s recap! On Friday, my mom and little sister, Lara, traveled into town, and by lunchtime we were on our way to Chicago. My older sister, Brandi, lives in the city, so her apartment was our headquarters for the weekend. 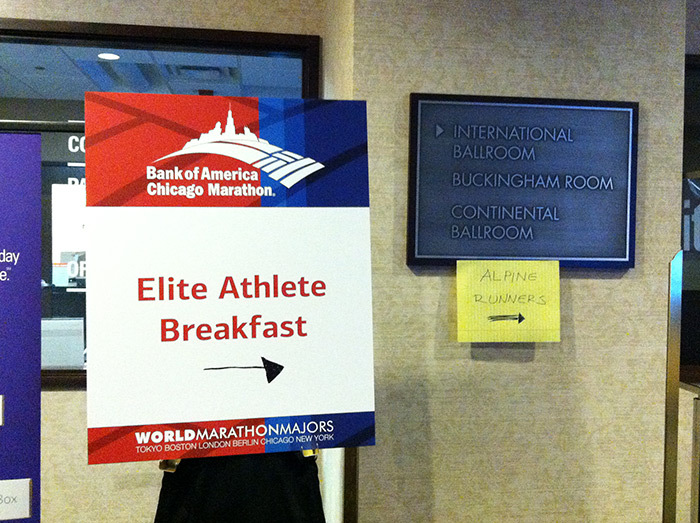 After a little relaxing and chatting there, we headed out for some serious carb loading. 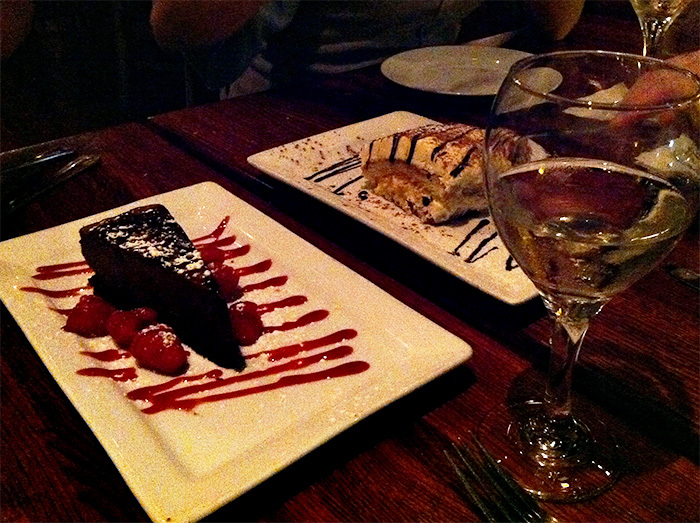 We finished up dinner with some dessert, of course. The four of us split the tiramisu and a chocolate mousse sponge cake. Ahhh, heaven. Dessert is quite necessary for pre-race carb loading, let me tell ya. After a quick walk home, we headed to bed early because we had plans the next morning! 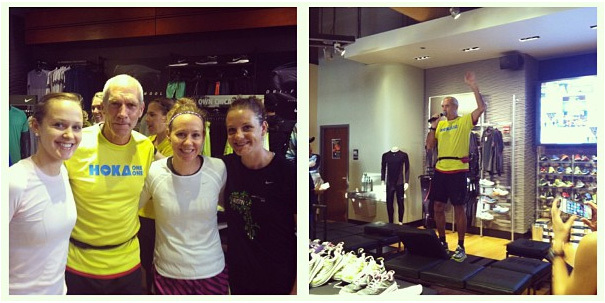 Runner’s World hosted a free shake out run with Bart Yasso at the South Loop Fleet Feet store at 8am Saturday morning. 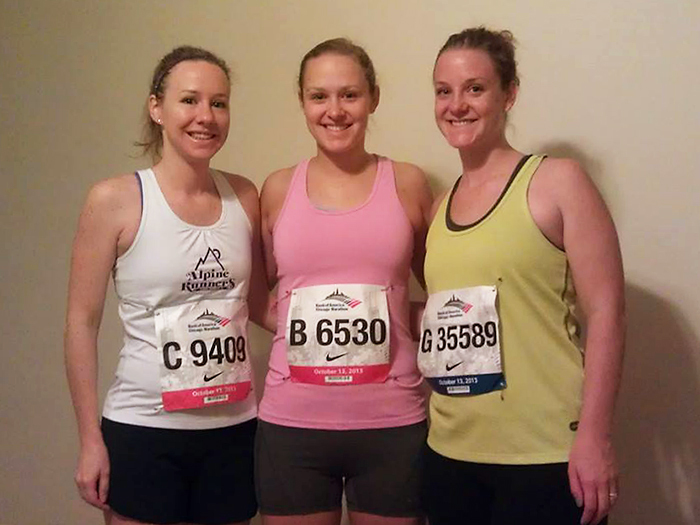 Brandi, Lara and I headed there, ready for an easy 2-3 mile run to shake out the nerves and loosen up our muscles. Before the run, we were each given a bag with Bart Yasso’s book, “My Life on the Run,” and the latest Runner’s World Magazine. Woohoo! I have wanted to read Bart’s book so I was stoked. A lot of people took pictures with Bart and got his autograph. 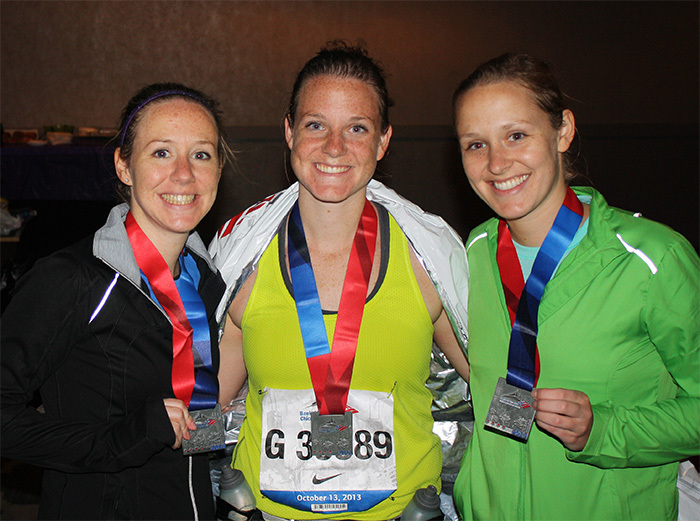 My sisters & I snapped a little pic with our running idol. We were able to stow away our belongings in the bags to leave at the store while we all went out for the run, which was pretty convenient. 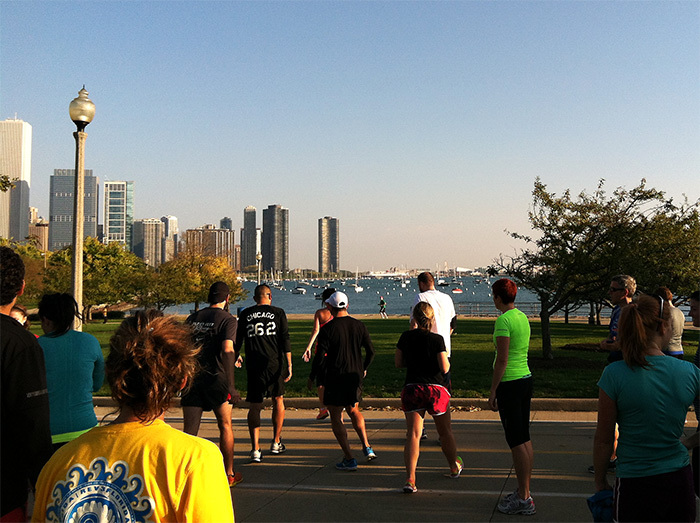 The run was an easy out & back to the lakefront path. 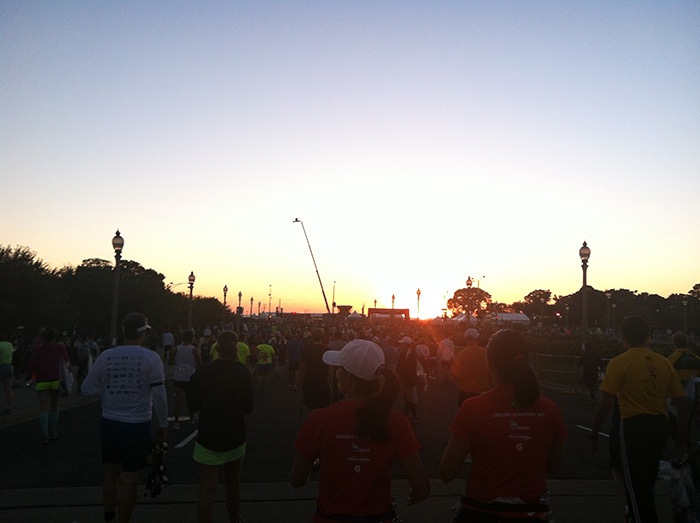 I only chose to run two miles, so I didn’t get to see much of the lakeshore, but it sure was a beautiful morning. 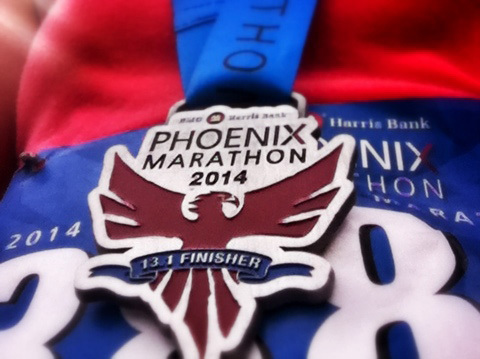 It was fun to chat with other runners who were psyching up for the marathon, too. 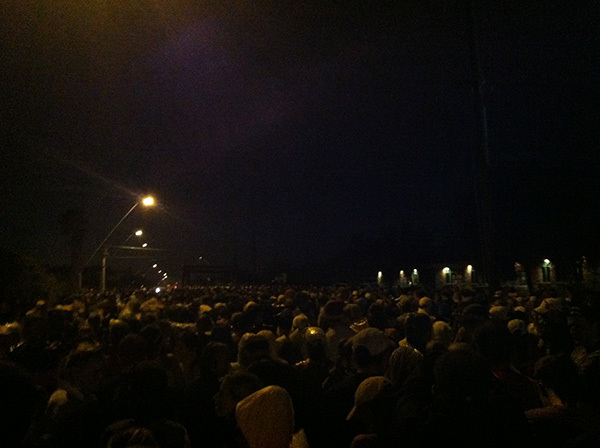 I talked with a few ladies on the trot back to the store, and got some useful advice. One of the women had done a run-walk method like I was aiming to do, and I mentioned how I thought I’d feel stupid during my first few walk breaks, as my first walk break would be only 10 minutes in. 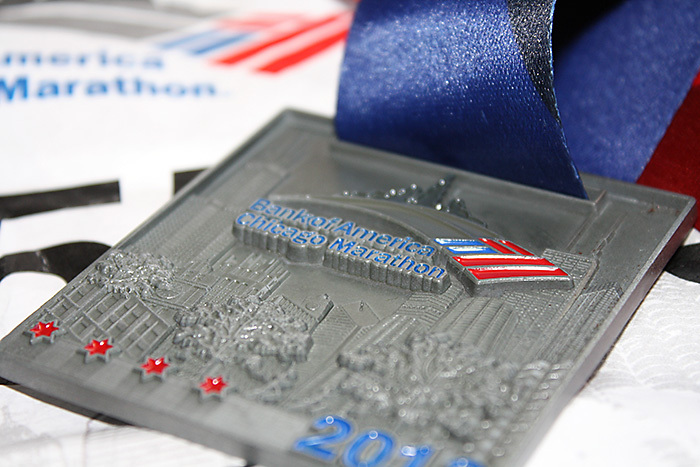 Plus, with all the cheering & adrenaline, how would I be able to stop myself from running?! I felt like everyone would be looking at me funny. She told me she understood because last year when she had done a run-walk plan for the marathon, she made the mistake of skipping the walk breaks in the beginning for those reasons. It ended up biting her in the end; she ran out of energy and hit the wall pretty early on, but was still able to finish. I was very glad I got to talk to her and reinforce that it would be important to follow my plan, no matter what. Once we got back to Fleet Feet, there were water bottles & Gatorade waiting outside for us. I sucked down some Gatorade while I got in lots of stretching. While stretching, I looked down next to my foot and loved this saying. Perfect timing before the race. 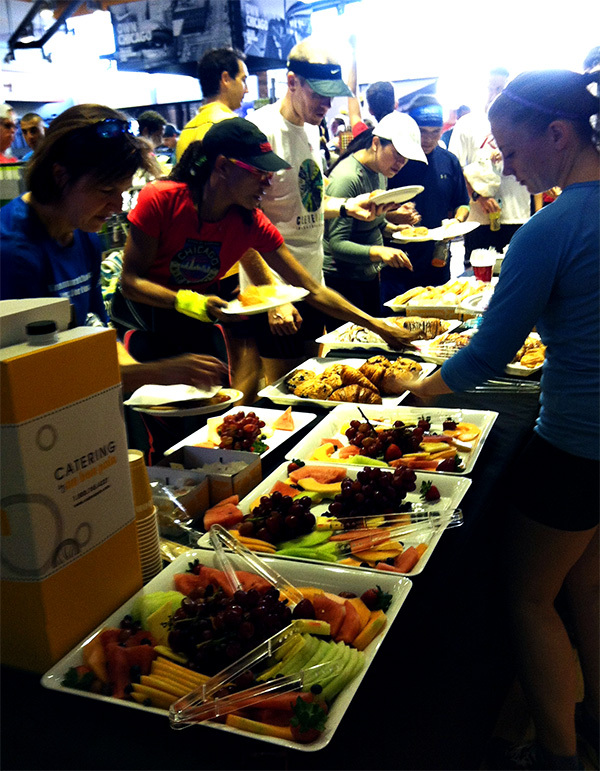 We went inside where a nice carb-y spread of food was waiting for all the hungry runners. 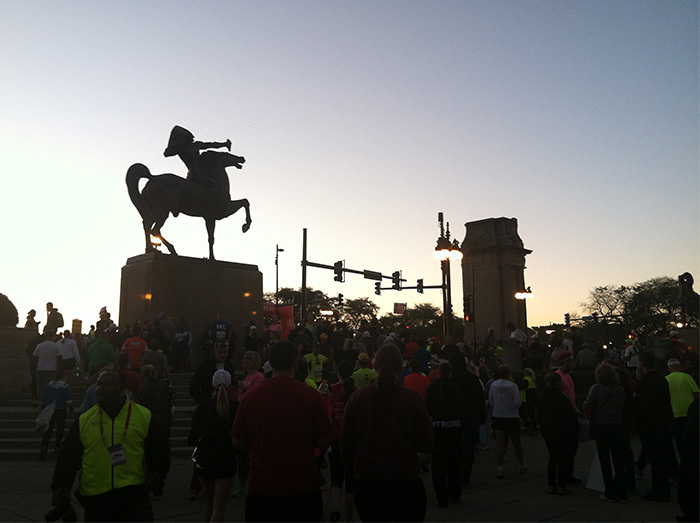 Don’t get in the way of hungry runners! 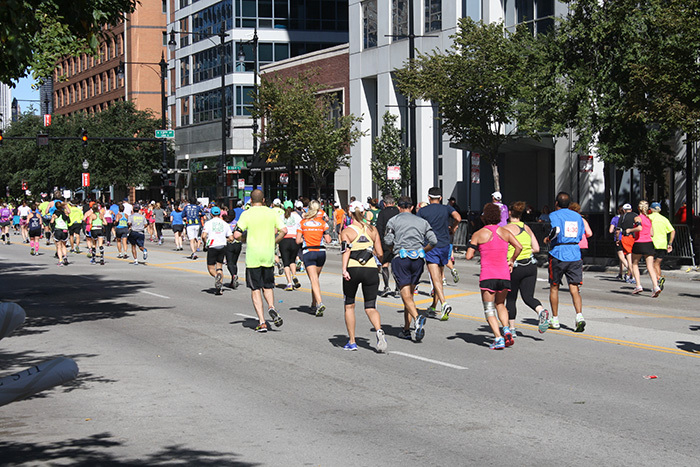 We just grabbed a little snack to munch on while we listened to Bart recount some funny running stories and then give us some advice for the Chicago marathon. 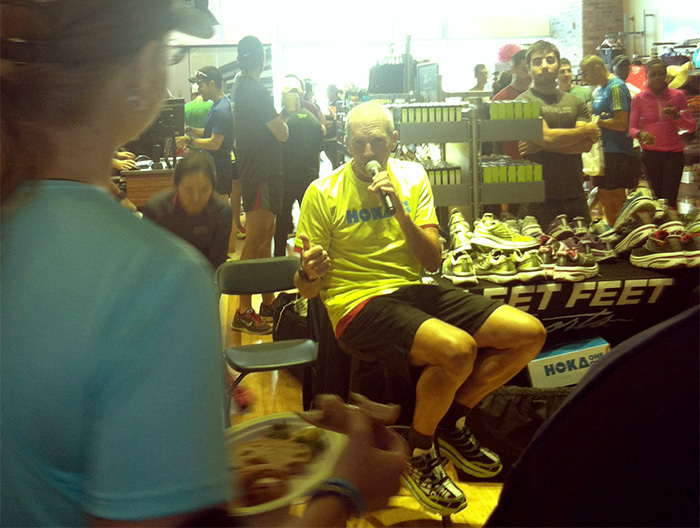 Bart Yasso giving words of wisdom for the Chicago marathon. 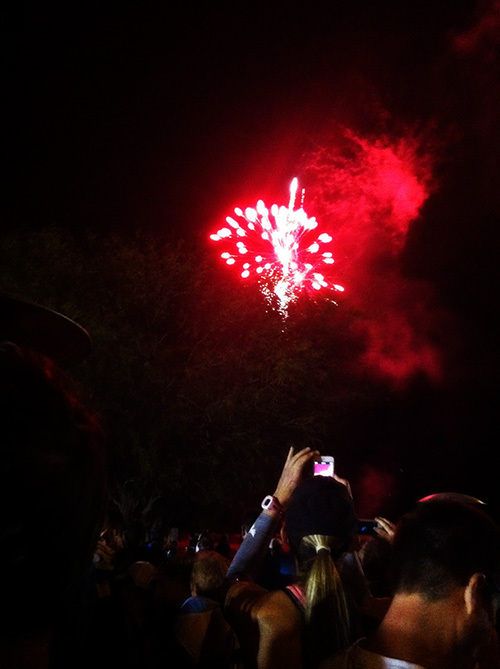 This was such a fun event to go to, and it was all free! Awesome. If they host this shake out run again next year, I’ll definitely be going. Afterwards, we made a pit stop at Target for some last-minute race day needs, and then stopped for a big breakfast before heading to the expo to pick up our packets. 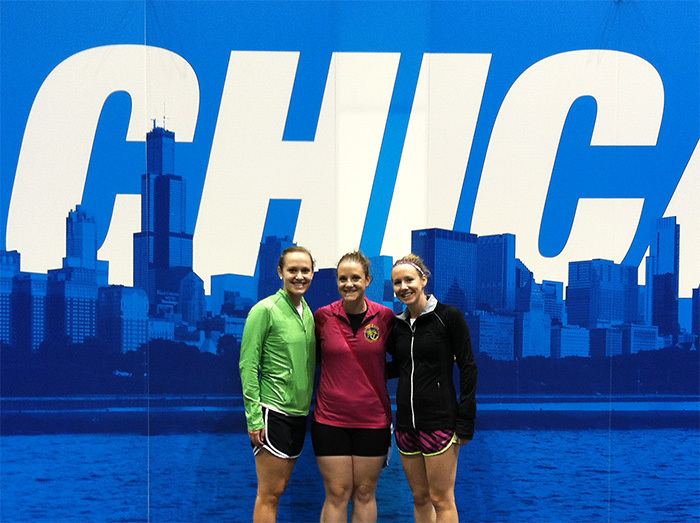 Arriving at the Chicago Marathon expo. 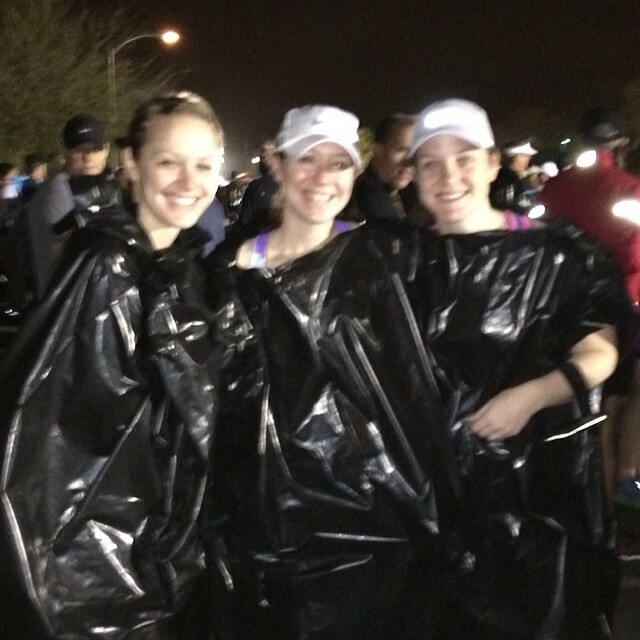 With sooo many runners & the place being so packed, packet and t-shirt pick-up was pretty painless and quick. 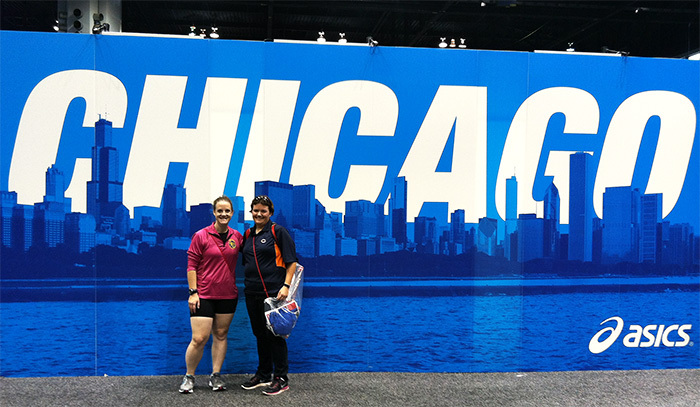 I also ran into my running club buddy, Liz! 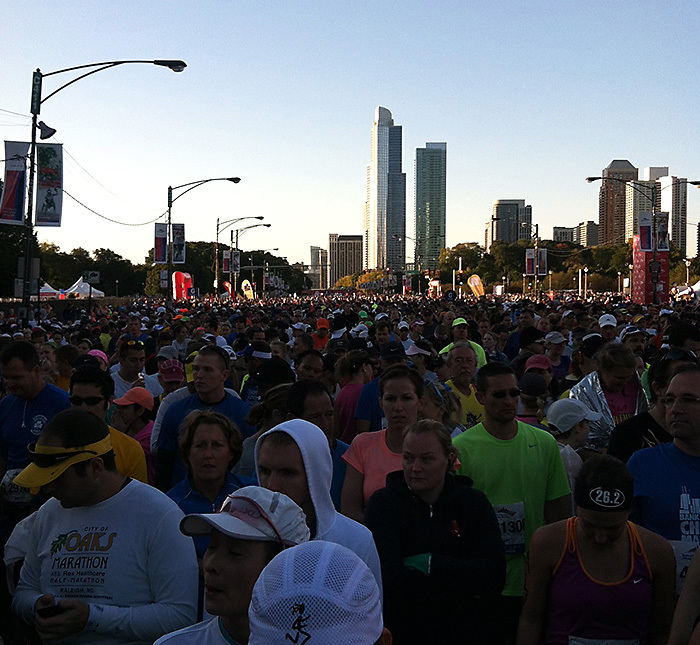 How do you prepare for a big race day? Any traditional meals, or lucky habits you have to do?